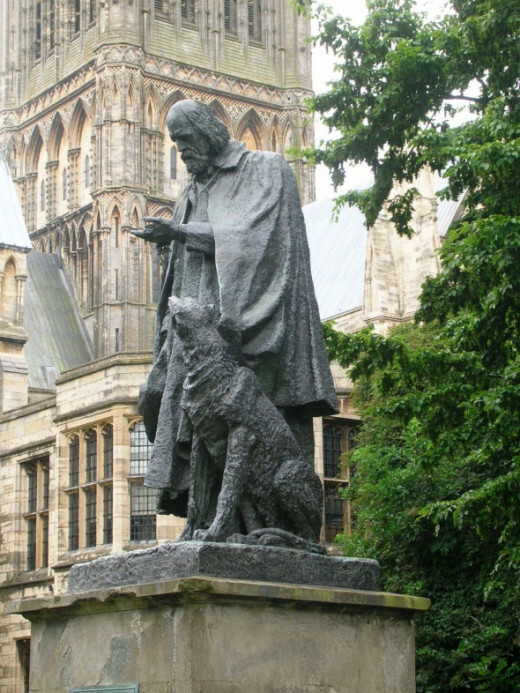 Tennyson is Lincolnshire's very own poet and Lincolnshire is Tennyson country. I am so privileged to live in Tennyson Country! 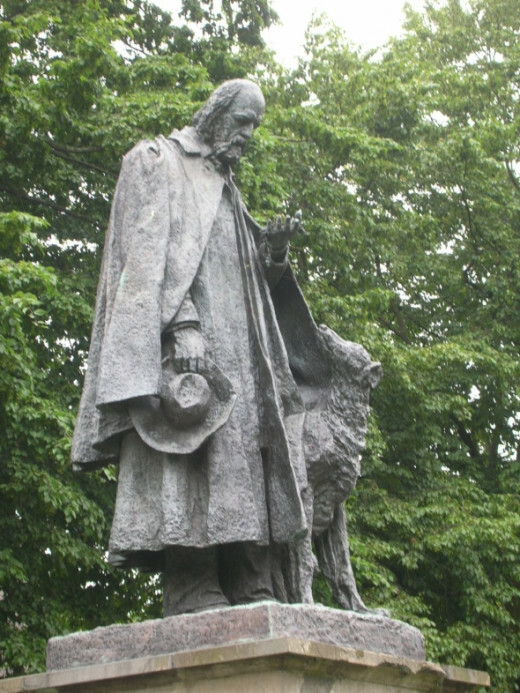 Lincolnshire was home to the great Alfred Tennyson for most of his life until he became Poet Laureate to Queen Victoria. Images on this page are my own photography and should not be copied! 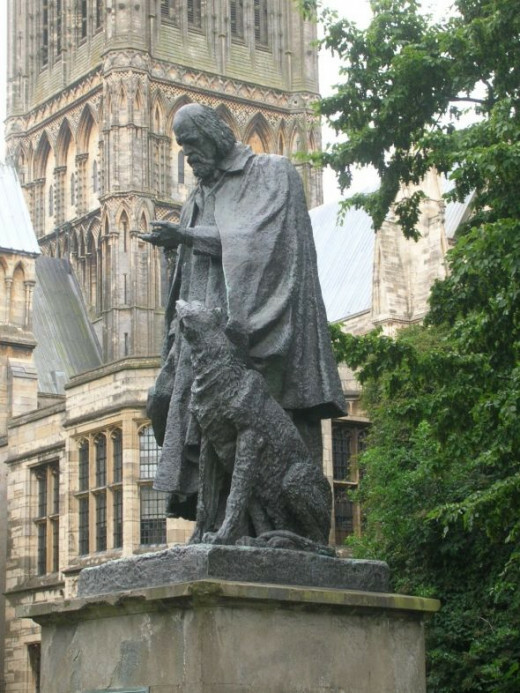 Tennyson is Lincolnshire's very own poet and Lincolnshire is Tennyson country. I am so privileged to live in Tennyson Country! 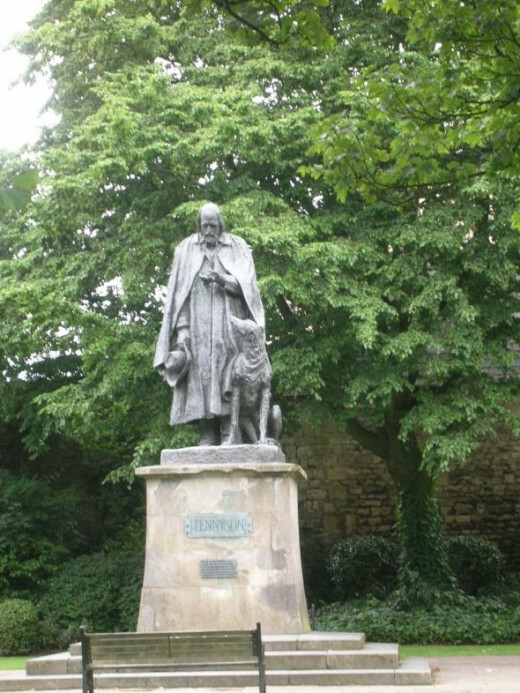 Lincolnshire was home to Alfred Tennyson for most of his life until he became Poet Laureate to Queen Victoria. Lincoln is a perfect city, surrounded by land you can see for miles, and close to some of the prettiest hills and villages in England. 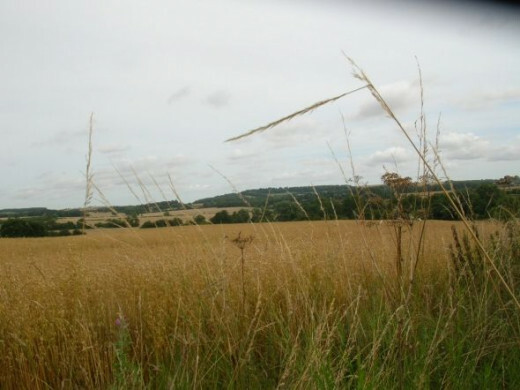 Much more than this, the countryside so often inspires me to poetry - but I am not the first. 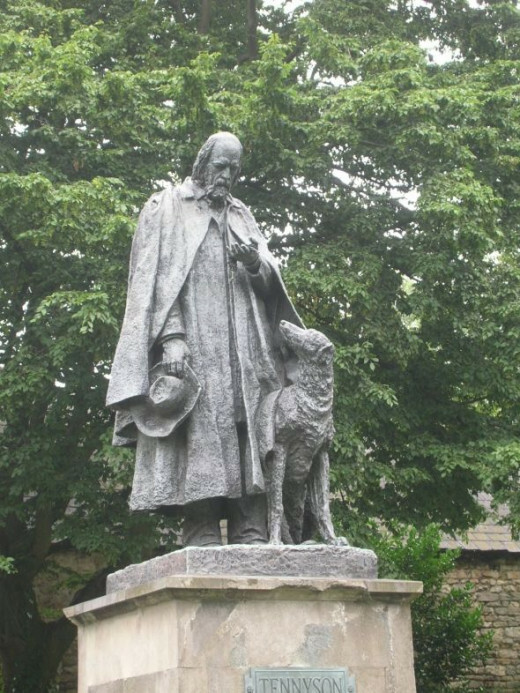 There are many Lincolnshire writers, thinkers and poets of note and perhaps the greatest of these is Alfred Tennyson, the 1st Baron Tennyson, who was 202 years old on the 6th August. 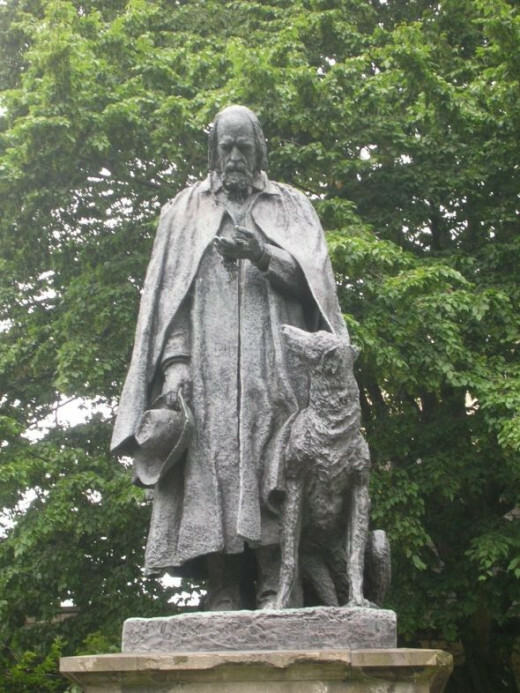 Although Tennyson in later life lived on the Isle Of Wight (A Poet Laureate needs to live near the Queen) he was born and bred not too many miles from where I live! 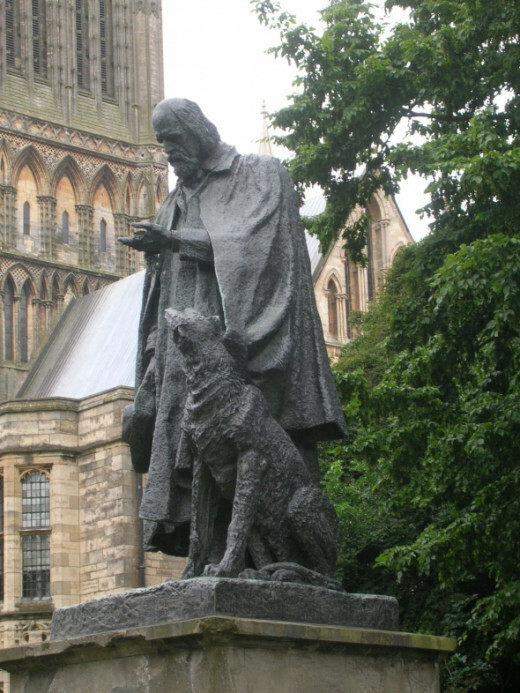 Tennyson is Lincolnshire's Poet Laureate He was inspired by Lincolnshire, and particularly the Wolds. This lens is to celebrate his birthright and inspiration - Tennyson country! 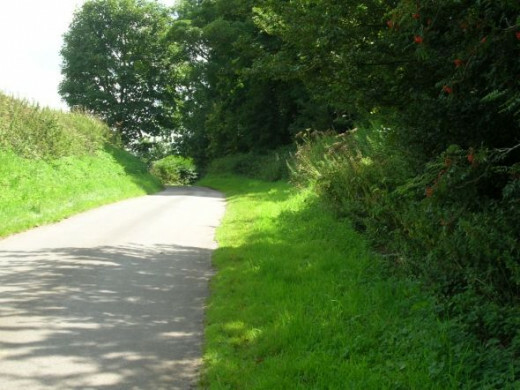 On entering the village. Oddly enough, there is no blue plaque to commemorate this. Hence the poet wrote "hostile to hommage" Maybe the present owners do not want guests! View from the other side. This is a private house and not a museum. It is not open to public view. Repaired, patched or darned rather than restored. That holds me islanded in used up time. The crowded emptiness that jostled me there. Used here with permission of the author. 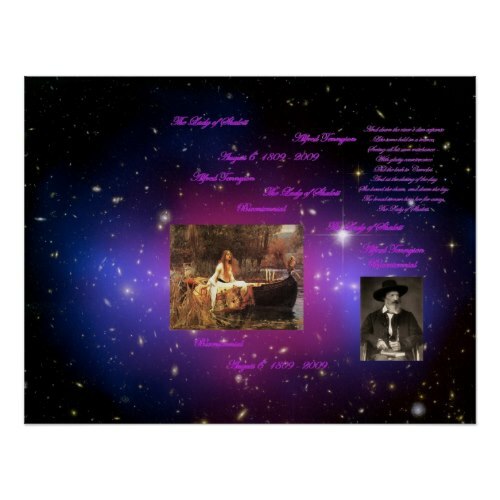 This product line features the Lady of Shalott poster design at the top of the poem. Several items are shown here, but to see others or customize any you like, please follow the link to Zazzle. Thank you. This great site even includes a wax cylinder recording of Tennyson himself reading The Charge of the Light Brigade! The Church of St Margaret's at Somersby. Tennyson's father was Rector here. 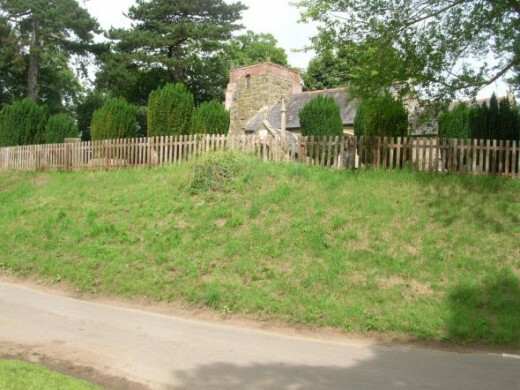 A view of the churchyard at Somersby. 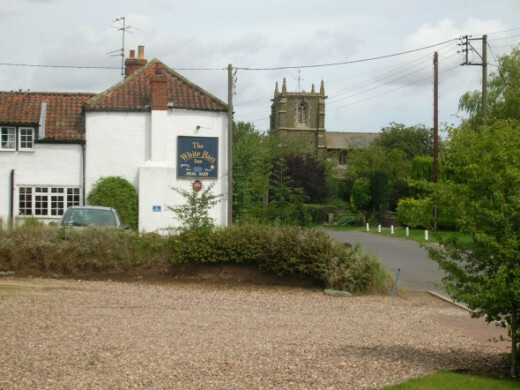 The church is opposite the Old Rectory which is Tennyson's birthplace. 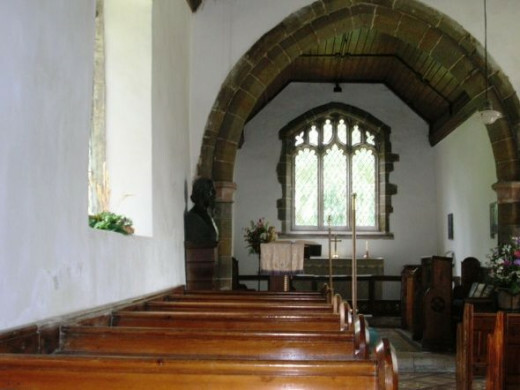 Inside the church at Somersby. 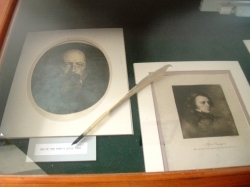 At the front left you can see a bust of Alfred Tennyson. 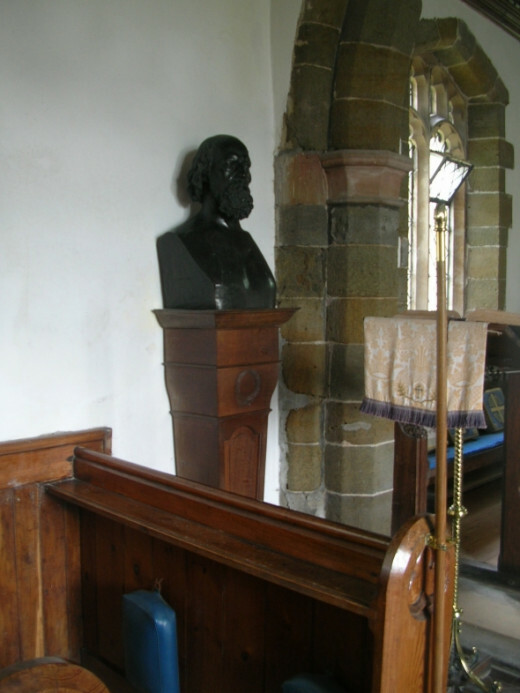 Close up of the front pew and the bust of Tennyson. 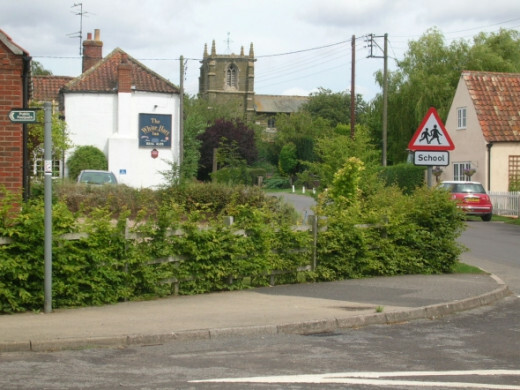 Approaching the White Hart Hotel at Tetford. 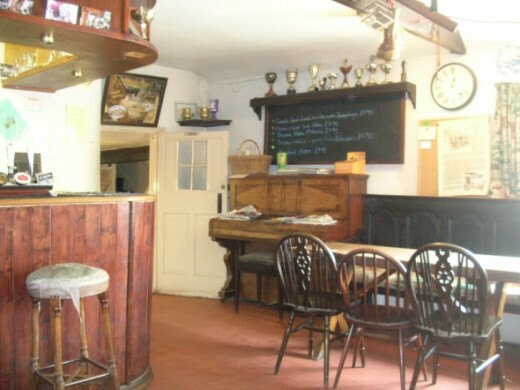 The White Hart Hotel also doubled as the Tetford Literary Club. 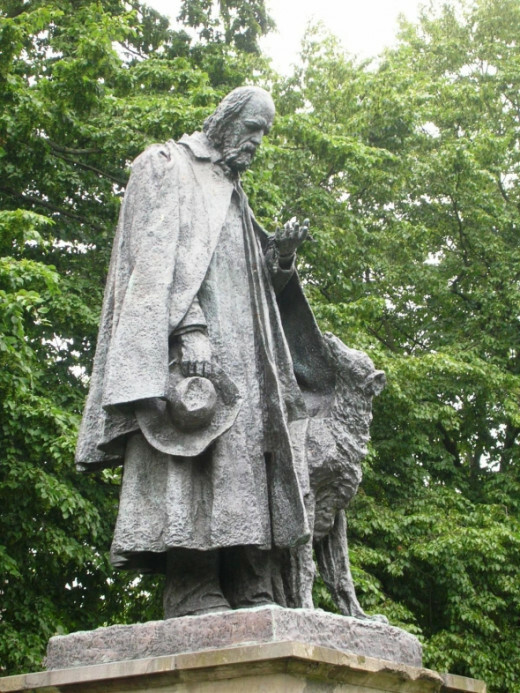 No doubt Tennyson as a member had many debates with local literati, including his minor poet brothers. 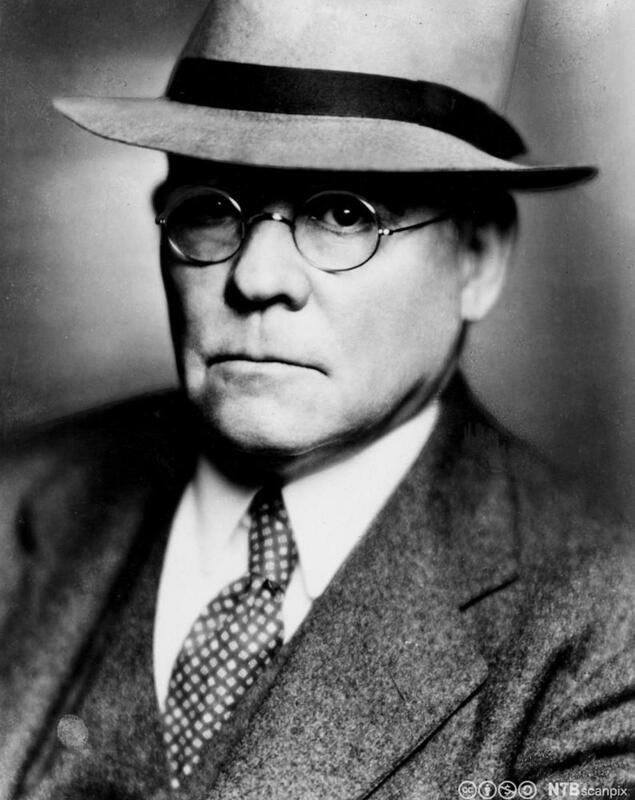 The Tetford Literary Club also boasts Sam Johnson as a visitor a long, long time ago. 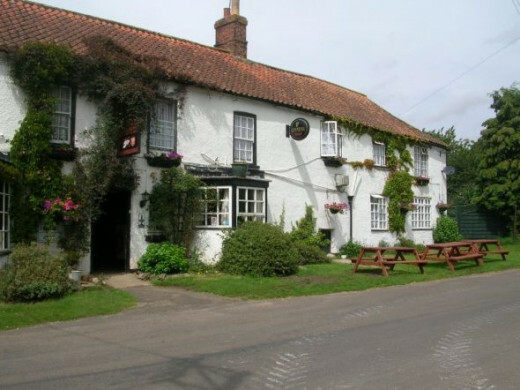 Obviously the pub was very much the centre of the Tetford community and known by famous visitors to Lincolnshire! 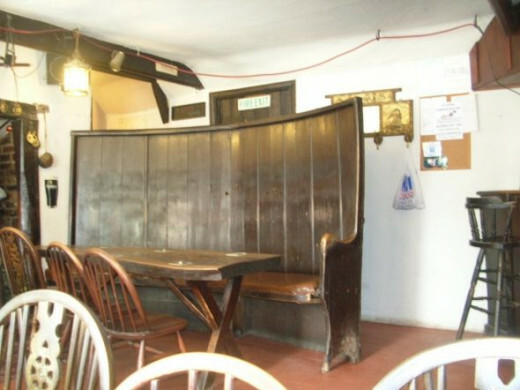 We can well imagine Alfred Tennyson seated in one of these vintage pub seats enjoying an evening drinking with friends. 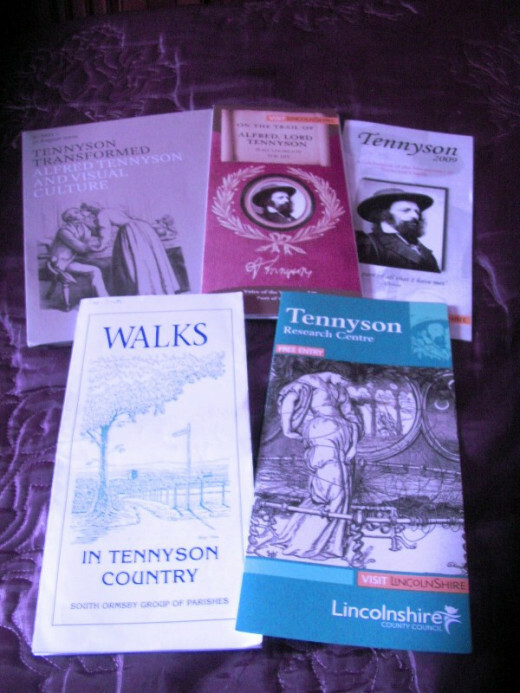 As you can see from this picture, there are many Tennyson Exhibitions you can enjoy. 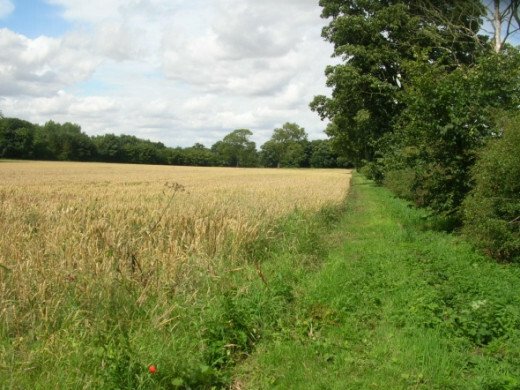 You can use the leaflets here to take a guided walk through the countryside Tennyson knew and loved. 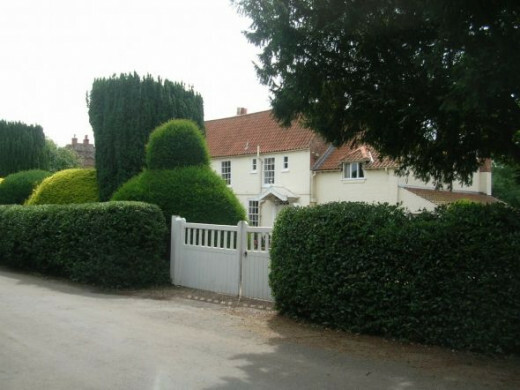 I will show you some of these Lincolnshire views in my next module. 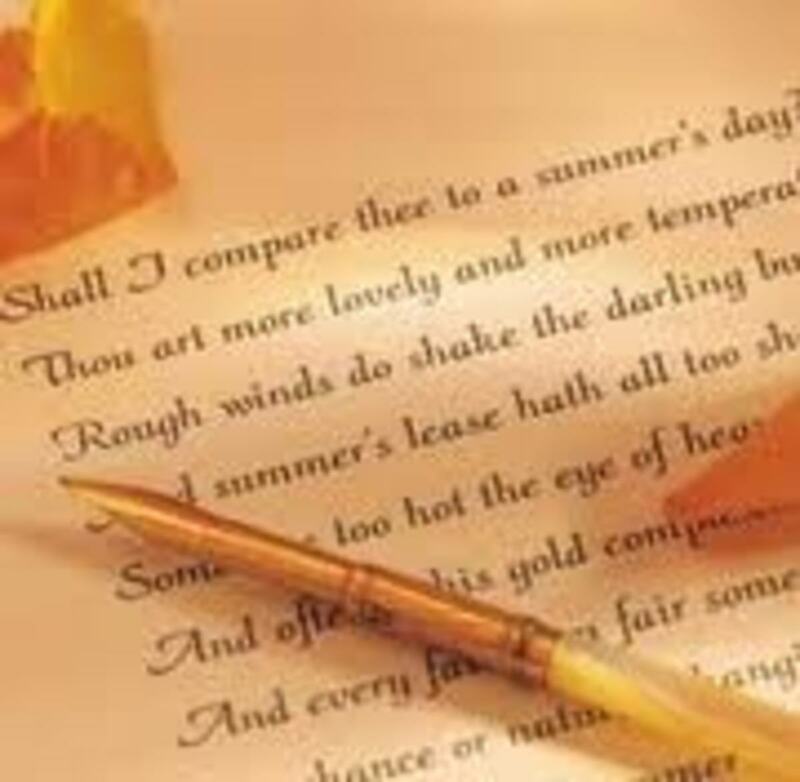 Although all Yellowbellies the world over are justifiable proud of Tennyson, their home grown poet, it is fair to say that he had to move to the Isle of Wight in later life to be near Queen Victoria - such is the job of Poet Laureate! Maureen is a friend I have known since 1981. 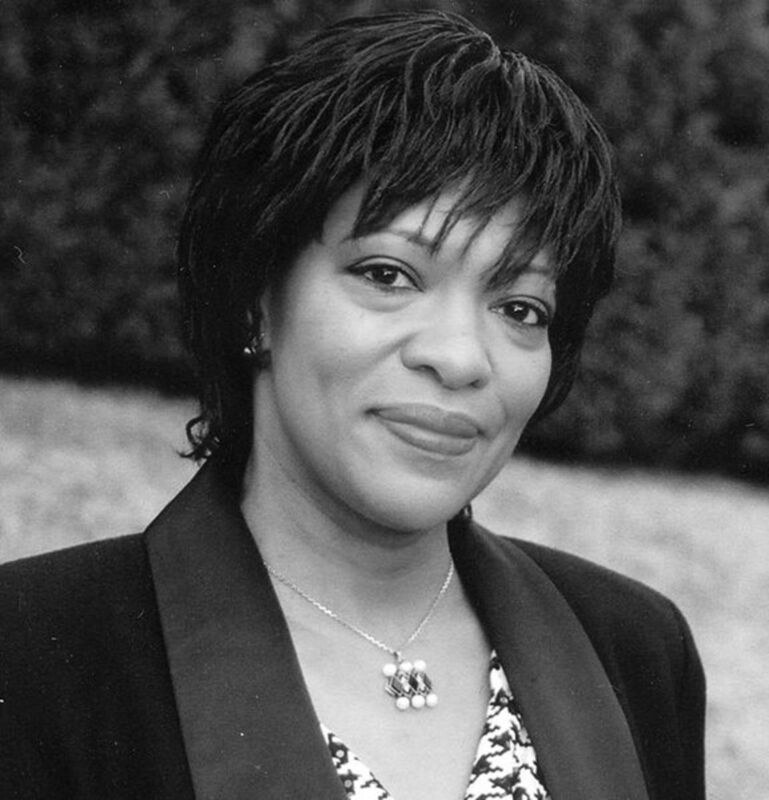 She was an outstanding folk singer in the local area then and these days she focuses on writing about folklore and also writes poetry. 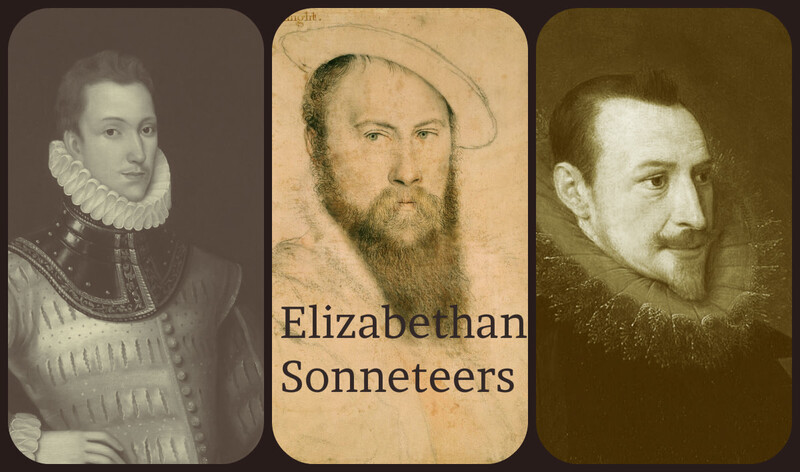 I was delighted to find her books on Amazon and am happy to promote them here! 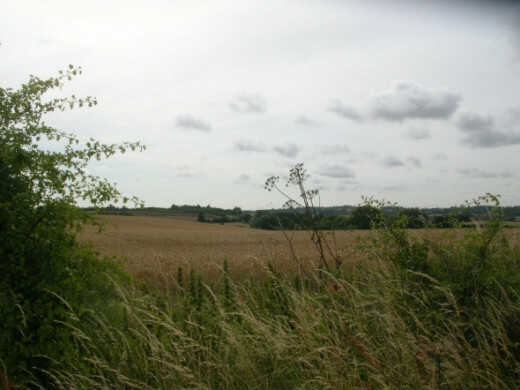 A view across Lincolnshire cornfields to the Wolds in the distance. 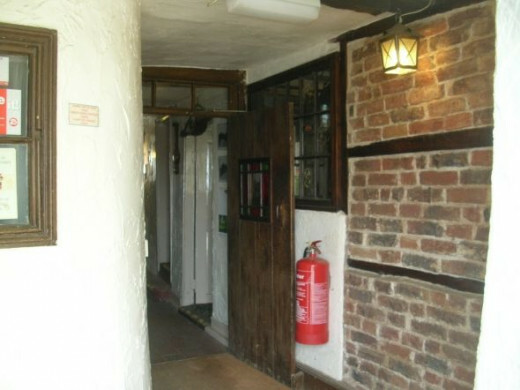 The White Hart Hotel at Tetford, this was Tennyson's local pub. 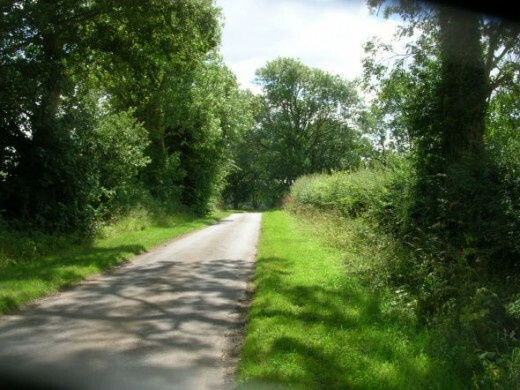 A view along the hedgerow shows the rich agricultural land of which Lincolnshire boasts. A view from the stone bridge into the trees caught this odd light figure on digital camera. 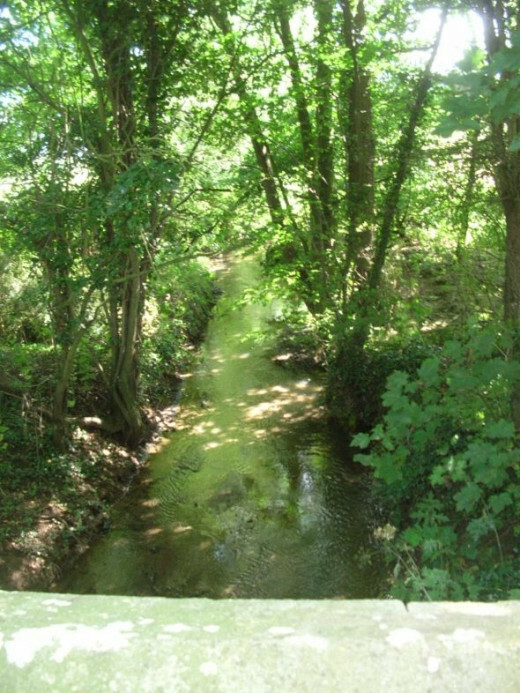 Could the ghost of Tennyson have been paddling in the stream perhaps? 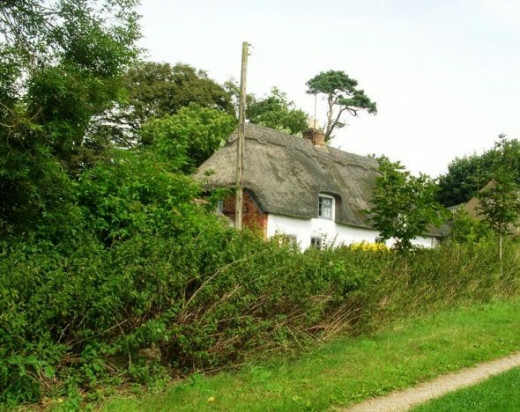 This cottage near Bag Enderby is one of several surviving thatched cottages in this part of Lincolnshire. 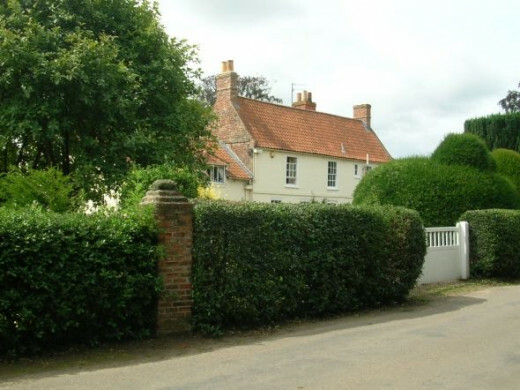 The Old Rectory at Somersby is where Tennyson was born. Another view across the fields anticipating a rich harvest. 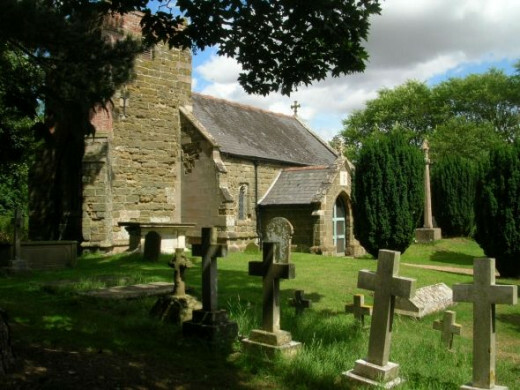 The churchyard of St Margaret's at Somersby where Tennyson's father was Rector. 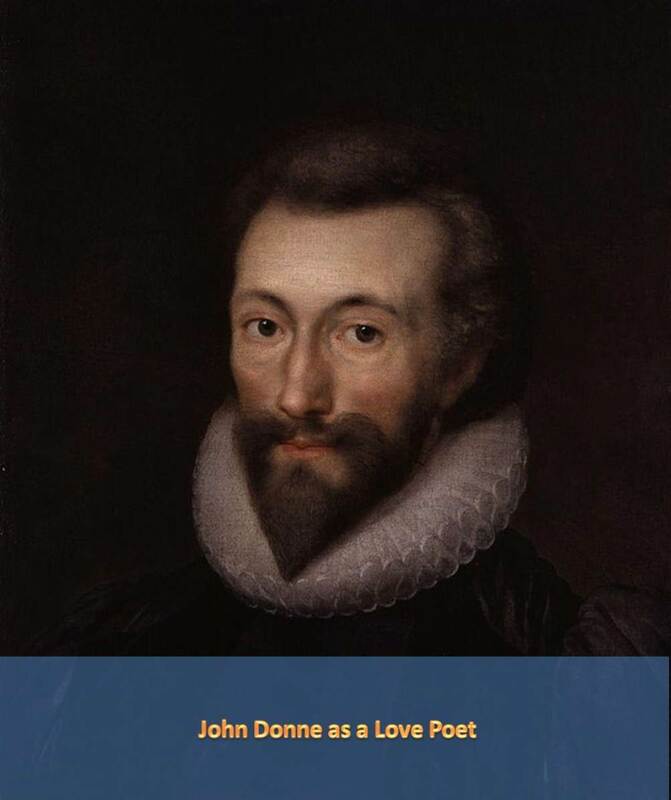 What is your favourite Tennyson poem? 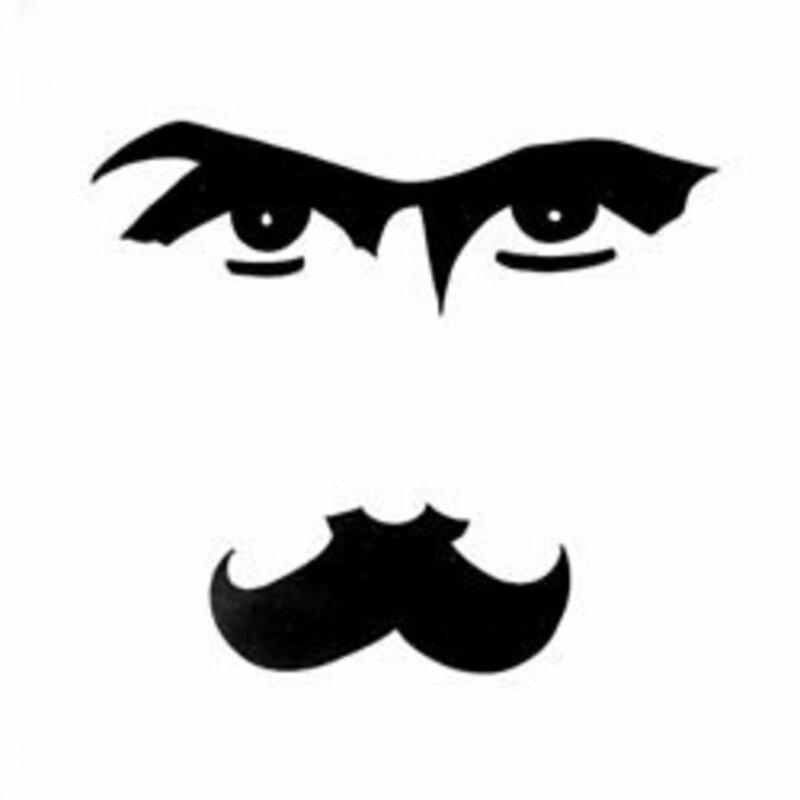 Please leave a message in the guestbook and share with friends!